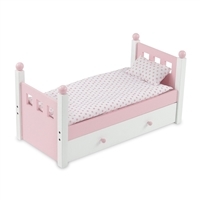 Your doll’s rest is just as important as your own; a good night’s sleep matters. 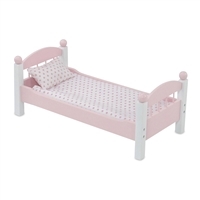 For your American Girl ® Doll or 18 inch doll, we have a large selection and an array of styles of doll beds, bunkbeds, beds with desks, trundle beds, and beds with storage - all at great prices. Your dolls never have to be without a surface on which to sleep. She can even sleep like the princess that she is! 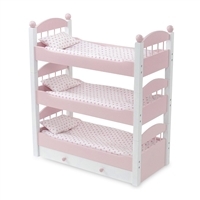 All of our 18 inch doll beds and bunkbeds products are shipped in a flat-packed manner and require easy, fast assembly. Assembly videos are available on furniture product pages.